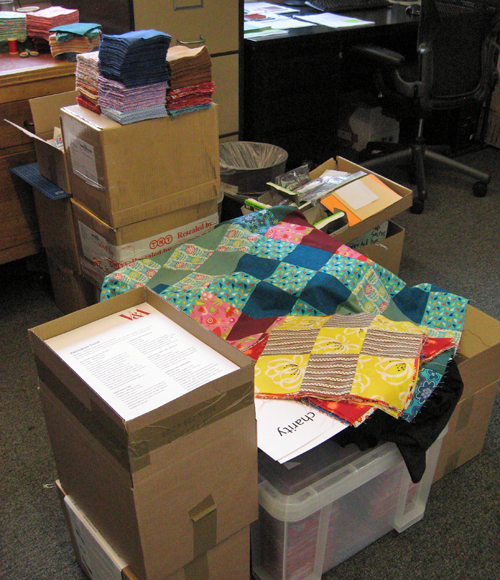 I think this picture of my office says it all – planning for the Patchwork Social, coming up this Bank Holiday weekend at the V&A, has had me organizing, cutting, prepping, and sewing for the last several weeks. I’m in my element, though – a huge event requiring lots of logistical thought PLUS the creativity of sewing PLUS doing good for others? Wow. I couldn’t ask for more. The weekend is going to be full of great activities – including sewing patchwork blocks by hand or machine, making a ‘virtual quilt’ from designs inspired by the museum’s collections, and learning how to re-purpose your old clothes and textiles into new treasures with Sarah Baulch of ReVampt. There are also family activities and the chance to cheer on members of Girlguiding London and South East Region (LaSER) as they sew towards their craft badges. 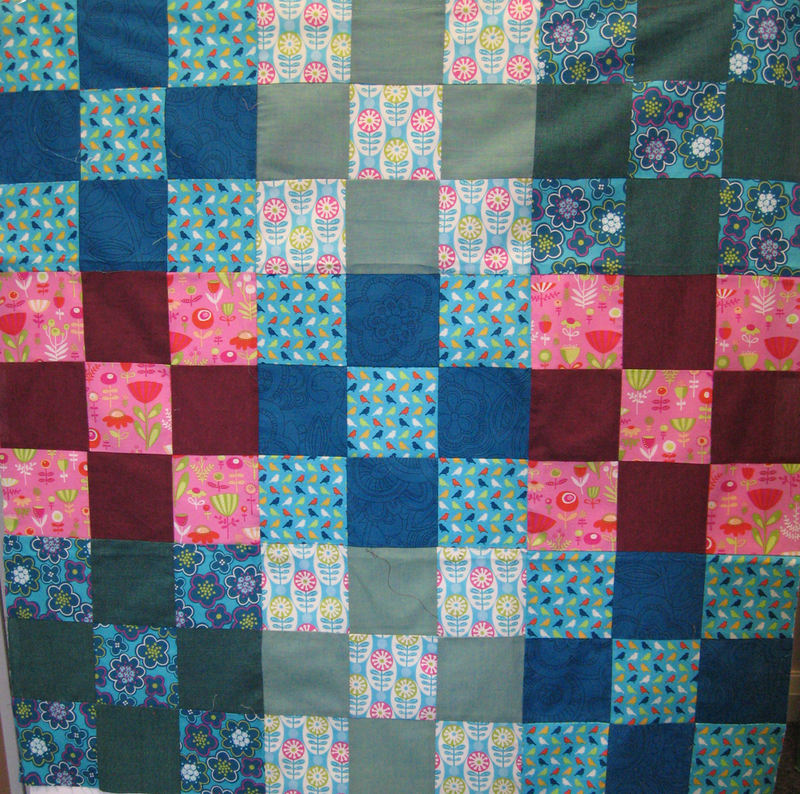 The ‘doing good’ part is because all of the hand- and machine-sewn patchwork is going to be made into quilts for Project Linus UK, a charity supporting seriously ill and traumatised children. Project Linus will be donating the finished quilts to Great Ormond Street Hospital and Kids Company. I’m really looking forward to the event and hope that everyone who comes will enjoy it. In fact, I’m wishing it were tomorrow already. I may not be able to sleep tonight!